We can rid your yard of weeds and pests, and we now offer mowing and landscaping services, so you can enjoy a beautiful, lush, healthy lawn all year round! FREE estimates. We also offer moisture control & wildlife control. 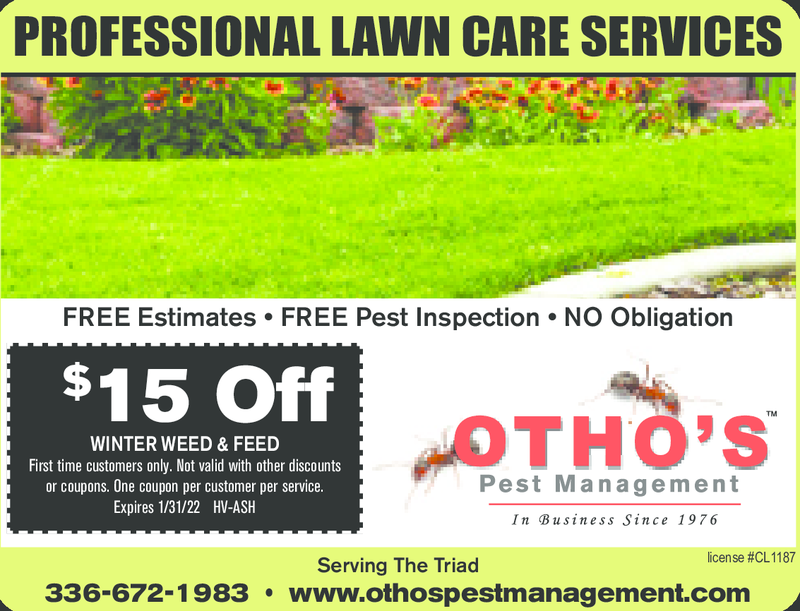 FREE Estimates & FREE Pest Inspection! No coupon necessary. Please mention you saw this offer on the Hometown Values website!